Rihanna went on yet another picture spree last night/this morning. 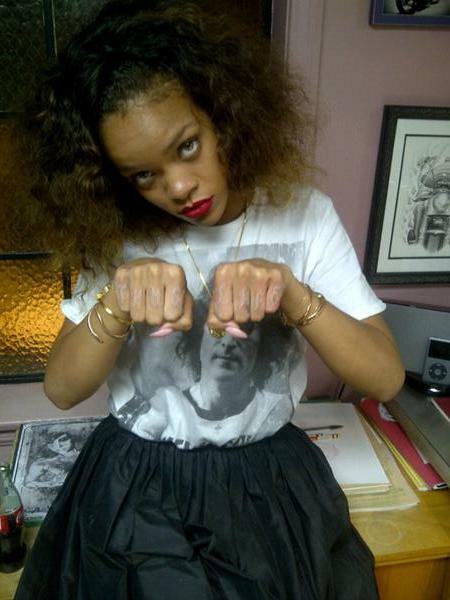 Rihanna, who we all know is a lover of a tat or two or twenty went out to get another. While there she ran into actor Danny Trejo who has an extensive criminal history, but turned it around...Rihanna was more than excited to see him. Rih playfully drew the infamous thug life tattoo on her hands while there, but where and what she actually got tatted..we dont know yet.